But the future was in flux for the band shortly after Pablo left in 2011. While Blanca and Manwell reformed as a duo and unveiled Fearless in 2012 (which still now is my favourite Group 1 Crew album ever! ), Blanca felt like God was calling her out of the group and into a solo career in 2014. Resulting in her 2015 self-titled debut album (spawning radio hits like “Who I Am”, “Greater Is He”, “Not Backing Down”, “Echo” and “Different Drum”), what also resulted was Manwell once again reforming Group 1 Crew and releasing Power in 2016- although now G1C is no more with Manwell starting a new band Pandas in the mainstream industry. Would Group 1 Crew still have been together if Blanca never left a few years ago? Sometimes I think about that, however when I dwell now on Blanca’s solo material, I reckon the tracks on her debut and now her new songs are some of the strongest she’s ever recorded, lyrically, musically and thematically- so what if’s are kind of a moot point now. But whatever your viewpoints are on G1C’s disbandment and Manwell’s subsequent controversial musical direction in the mainstream industry; there’s no denying that Blanca remains a very active spokesperson for the Christian faith in the realm of pop music, and this sentiment is never truer than in the available tracks from Blanca’s sophomore album. Yes, the time is now, and all of us Blanca fans need not wait any longer. 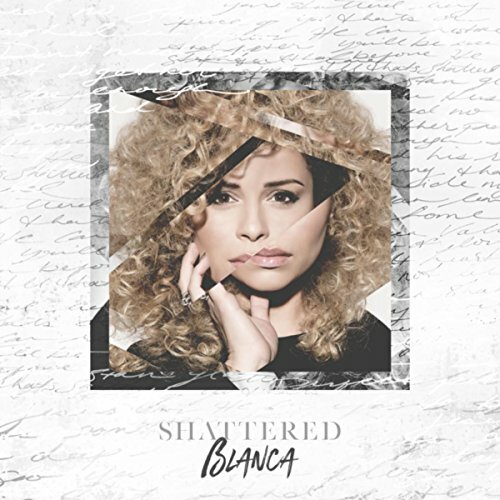 This year is the time that Blanca is finally letting the world know her sophomore album Shattered, releasing in mid-September (but if you pre-order the album, you can instantly grab 7 songs- which is half the album!). With the 5 tracks from Real Love (the EP from last year) as well as the title track (previously released in early May as a single) and last week’s promotional single “Steady” all included on the 14 track album; I guess you could ask yourself why Blanca is re-releasing these songs yet again? Maybe she should have released a long-ish EP? Nonetheless, Shattered is 3 years in the making, and if the rest of these songs are as compelling, inspiring and powerful as the 7 already released songs, and as Blanca’s debut album; then Shattered may be one of my favourite albums of the year come December time. Possibly in my top five albums…just maybe! As I wrap up this ‘first impressions review’ I’m not really going to give much more away about the album- because I don’t really know much more besides the 7 tracks already unveiled to the public (I have no pre-release of the album yet! )- and even if I wanted to say something more in detail, I won’t- because I gotta save something and mention it in the actual review, right? So what I’m gonna do now is give you guys some links to the songs and behind the scenes videos of the already released songs from Shattered. And also the links to the reviews we posted about Real Love and Shattered the single. And as you read, and watch and listen, I guess you can be psyched and eagerly anticipating the project, because I definitely am.